All that madness about liquid matte lipsticks isn’t over yet! Whenever a brand launches a new range of liquid lipsticks, the makeupholics from around the world go gaga over it. Same thing happened when our beloved, SUGAR cosmetics launched their range of liquid matte lipsticks called “smudge me not“. Being a lipstick lover that I am, I became really excited to try these lippies out when they were first launched. I heard a lot of good things about them, but I didn’t believe that they are actually SMUDGEPROOF until I tried one of them by myself and got totally blown away with the formula! 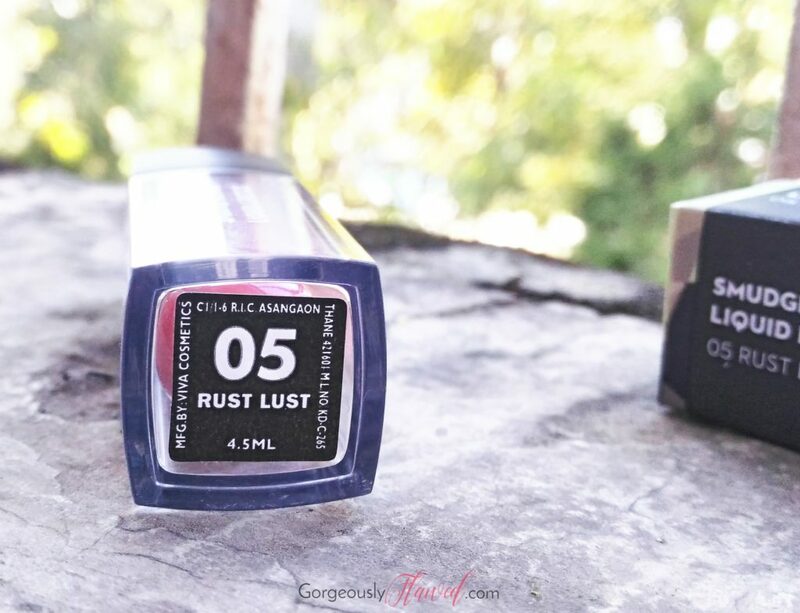 Walk into every room like you own it with Rust Lust – a terracotta red shade that strikes a delicate balance between the reds and the browns to make your pout stand out without a hint of doubt! 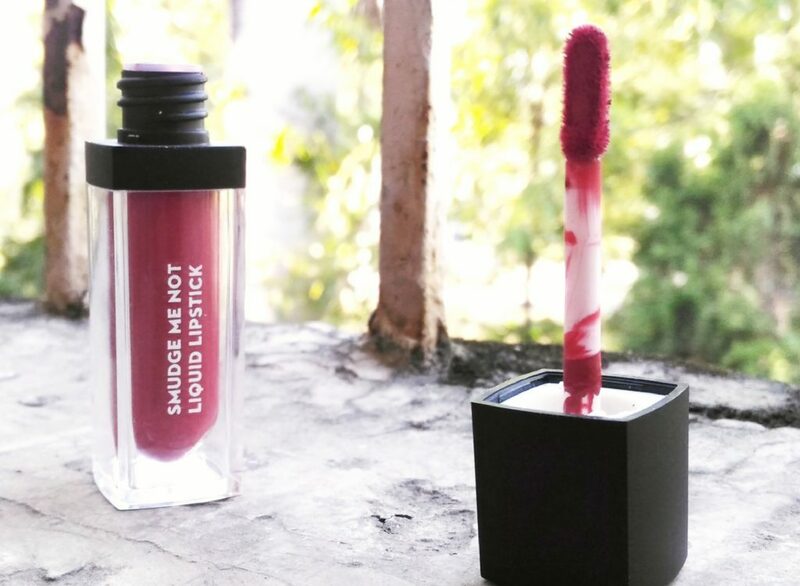 Sugar Smudge Me Not Liquid Lipstick comes in a packaging that’s similar to Maybelline Velvet Matte lipstick. It’s small, sleek and really good for travel purpose. 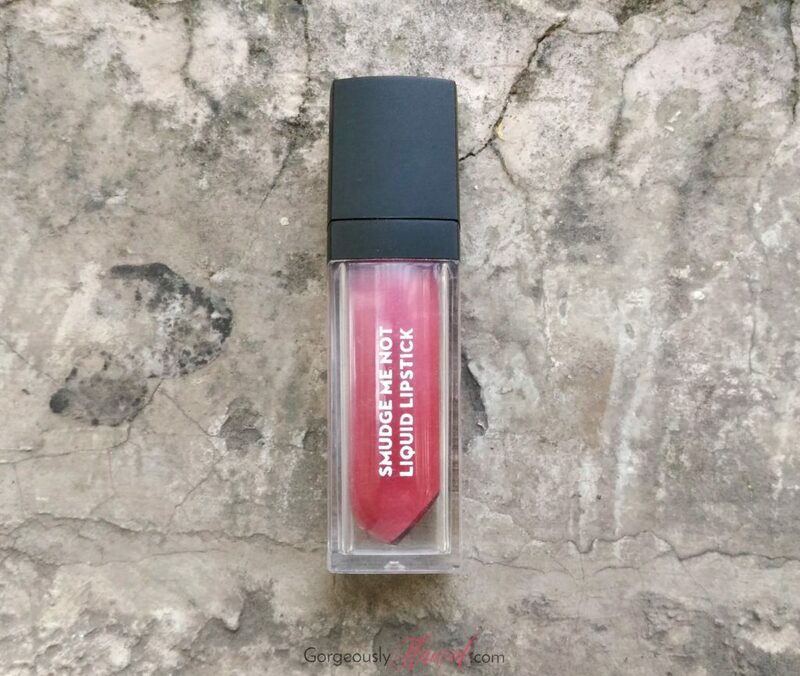 It has a doe foot applicator with rounded edge which kinda helps in the precise application of the lipstick, but I wish that it had pointed edge because that’d give more cleaner edges. Overall, the packaging is great for the price and I don’t have any complaints about it. I believe that the formula must be same across all the shades. Since it’s a liquid matte lipstick, it’s bound to be a little drying on the lips. But thankfully, it’s not sticky at all! If you have extremely dry lips like mine, then you might want to exfoliate your lips beforehand and apply a good amount of lip balm. On me, it starts to crumble and crack from the inner corners of my lips if I don’t use a lip balm underneath it. Cheaper than other liquid matte lipsticks available in the market. Comes in a variety of shades that are suitable for Indian skin tones. 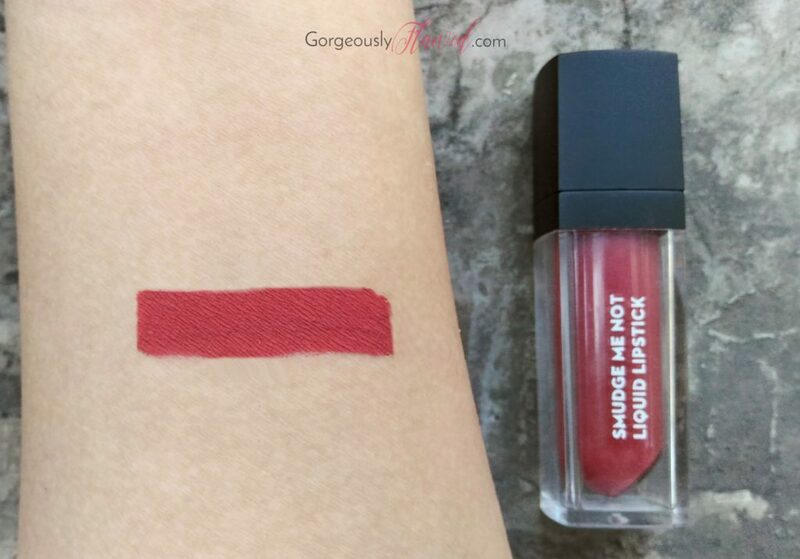 This particular shade is a really beautiful one for those beauties with medium/deep skin tones! Stays for good amount of time without feathering. I was eyeing​on this shade. It looks red in the swatches. Is it really that red? Thanks safi di! Tan fan is a very pretty shade! Lovely shade. Is the ingredients list available for this product? Yes Sudha di, the ingredients are mentioned on the outer packaging. 🙂 Would you like me to update the post with it? Nice review! Yet to try this range!